Let’s make this one thing very clear: female genital mutilation (FGM) is a violation of the human rights of girls and women. As inhumane as it is, FGM is a practice still prevalent in many parts of the world. It has been documented in 30 countries mainly in Sub-Saharan Africa, but also in Asia, the Middle East, Europe, and North America. World Health Organisation (WHO) estimates that more than 200 million girls and women alive today have undergone FGM and more than three million girls are under risk every year. In some countries, such as Somalia, 98 percent of girls and women aged 15 to 49 years have been victims of the practice. WHO describes Female genital mutilation as all “procedures that involve partial or total removal of the external female genitalia, or other injuries to the female genital organs for non-medical reasons”. The practice has no health benefits, on the contrary, it carries a long list of damage for both the women and society. The initial concern when it comes to FMG is the health repercussions. FMG is not only very painful as an “operation” to undergo but it often means a lifetime of pain for women. A great number of girls die because of complications related to FMG and many more have to live with the sequelae. Along with physical health, FMG also leads to mental health problems in women who have undergone it. According to WHO, FMG is “likely to cause various emotional disturbances, forging the way to psychiatric disorders, especially post-traumatic stress disorder (PTSD)”. Health problems are not the only thing girls and women face when it comes to negative consequences of FGM. For many girls, having undergone FGM means having your life altered. In many communities, FGM reflects a rite of passage, a becoming of a woman. 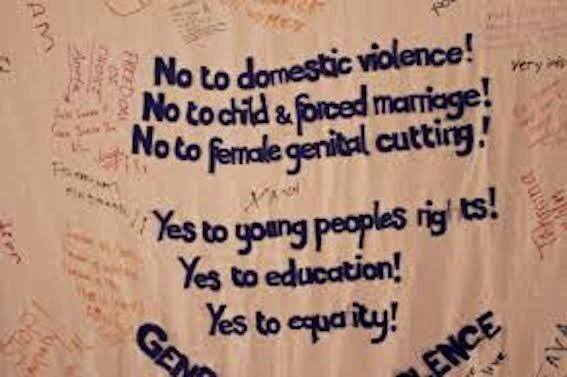 Maybe romantic to those of us who are not faced with the threat, for victims of FGM "becoming a woman" often means being ready to get married and bear children. Considering FGM operations are done when girls are as young as seven, the direness of the situation is clear. Consequently, FGM often means losing access to education for girls. Whether it’s missing important school days (weeks, months...) because of the physical repercussions of the practice, or having other responsibilities related to “becoming a woman”, FGM usually means the end of formal education for girls. This is a vicious loop. Education is a key factor in girls’ and women’s empowerment, especially when it comes to standing up to FGM for themselves and for others after them, but having undergone FGM often means these women can’t access the necessary education. How can you protect your sexual and reproductive rights if you don’t know you have them? 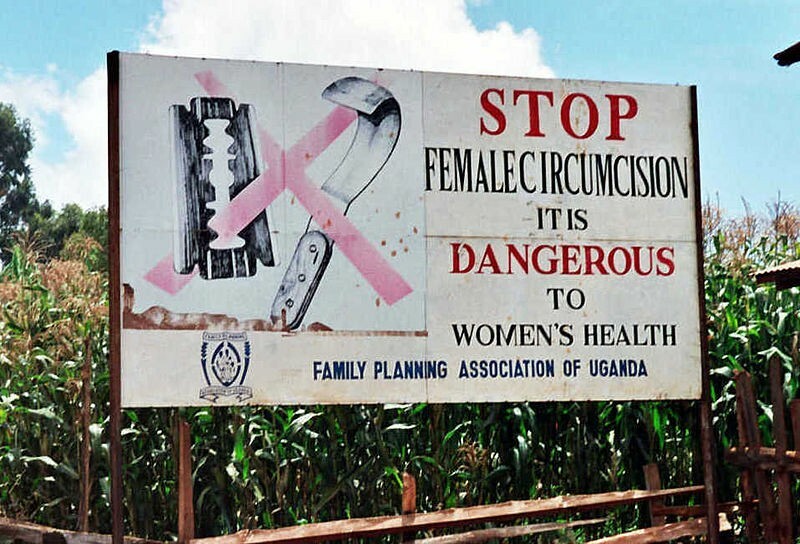 Efforts to halt FGM usually includes legislative action. 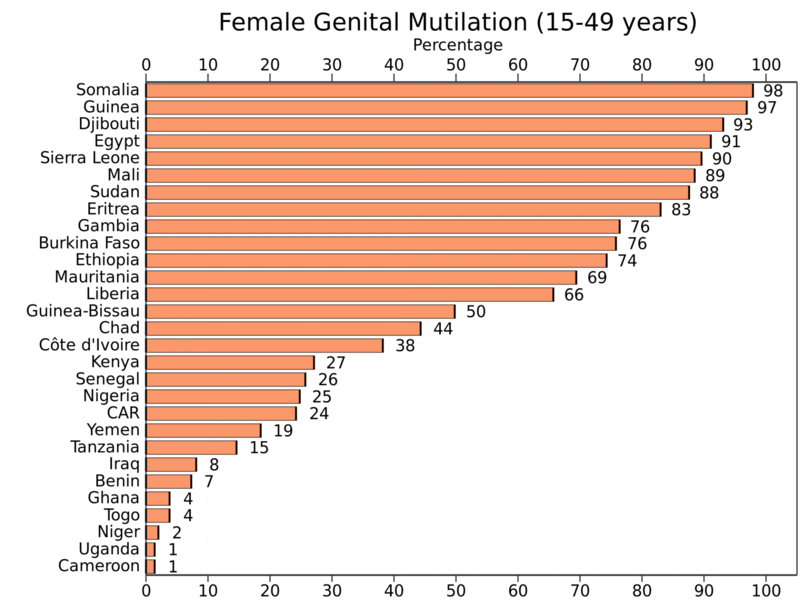 Forcing girls and women to undergo FGM operations is a crime in many countries, including those in which the rates are very high like Senegal. Penalties range from prison time to monetary fines. However, simply banning it is not enough to stop people from keeping on with the “tradition”. FGM is a practice that is extremely entrenched in communities cultural traditions in most cases. It is a matter of social capital and sign of belonging to the community for women. Thus, banning it, although still somewhat effective, leads to different problems such as underground procedures or a cross-border movement to a country where the practice is still legal. According to WHO, the legal ban on FGM in Senegal for example, provoked fear of prosecution but did not lead to actual change until a community-based program was introduced. The intervention to a problem as entrenched in culture as FGM needs to be as nuanced as the problem itself. Without changing communities’ understanding of FGM it’s impossible to change their practices. Amref Flying Doctors is an international non-profit organisation focused on health in Africa and they have devised an effective intervention against FGM in Sub-Saharan Africa. This intervention is called Alternative Rites of Passage and aims to replace FGM with just that: alternative rites of passage. Because FGM is a part of an initiation to the community, the offer of completely getting rid of it leaves a blank in a traditional ritual. These rituals are important for children as they often mean their “official” acceptance into the community. Amref Flying Doctors works with cultural leaders and influential people, like the Maasai Elders of Kenya, to endorse Alternative Rites of Passages as a replacement to the inhumane practice of FGM. These rituals include a three-day training for the girls on the topics sexual and reproductive health and rights, self-awareness and human rights. When girls’ education improves, their health improves. The program doesn’t only mean education for the girls, the organisation also works with different groups like tribal elders, young men, fathers, and mothers. In these forums, local educators trained by Amref Flying Doctors talk to their communities about sexuality, health and rights. Instead of imposing rules from above that lead to different problems rather than solutions, Amref Flying Doctors' intervention aims to change social norms that are the root cause of FGM at a community level. They include not just the girls but the whole community in the solution so it’s both sustainable and an easier transition. We can all agree that female genital mutilation is an unimaginable atrocity that needs to stop. If you want to support girls and women (and communities because it affects the whole society) who are under its threat you can donate to Amref Flying Doctors below. With €30 you’d be paying for an informational meeting for village elders. If you want to fully support one Maasai girl in her Alternative Rite of Passage, a one-time donation of €52 will do just that.